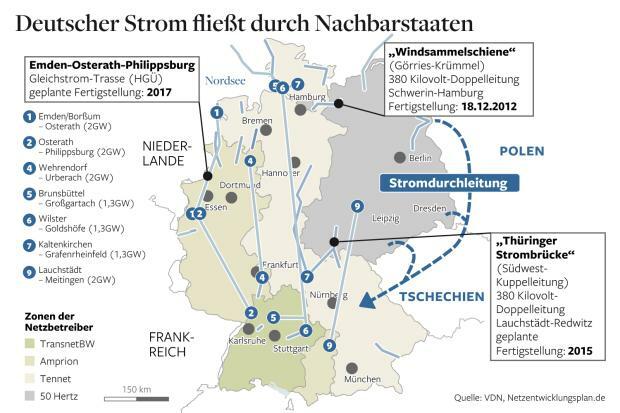 In order to boost Germany's 'ecological wonder' and its green energy transition, the Federal Republic has used power grids of neighbouring countries – without asking for permission. For this short-sighted policy, the German government is now being punished. For example, Germany's 'eco-miracle' simply used the power grids of neighboring countries not only without asking for permission but also without paying for it. Now Poland and the Czech Republic have pulled the plug and are building a huge switch-off at their borders to block the uninvited import of green energy from Germany which is destabalising their grids and is thus risking blackouts. Germany's neighbours act in self-defense, no one can blame them. The blocking of energy at their borders, however, are fragmenting the single European market for electricity. They also turning Germany into an electrical island within the European energy network, with unknown consequences for the security of supply. And they cause even more forced shutdowns of wind farms in Germany, which means additional costs of at least one hundred millions Euros.